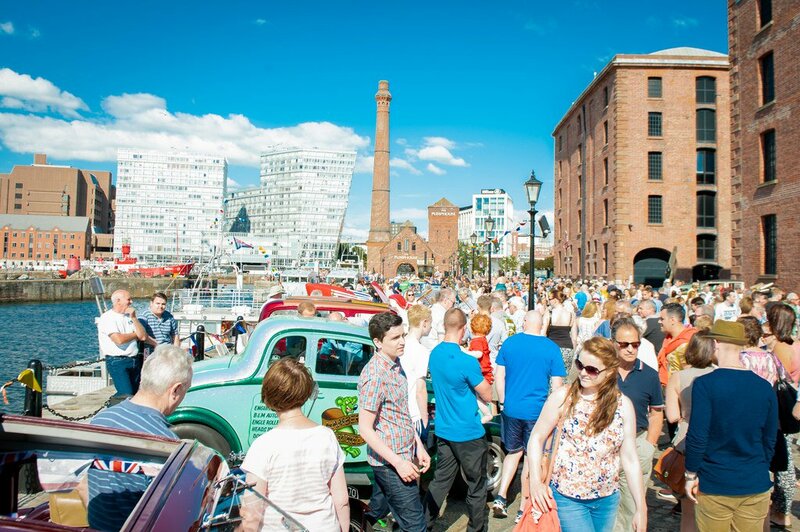 HemingwayDesign returned with their event Fine Tuned to Albert Dock, Liverpool for the second time on the 14th & 15th July 2018, presenting a ‘fine tuned’ collection of fiercely independent designer makers, street food vendors, vintage traders, performers, and classic car display. Taking place at Albert Dock, the city’s cultural and leisure epicenter for Liverpool, Fine Tuned paid homage to iconic styles of bygone eras whilst showcasing future trends; as the Hemingway family partner with the host venue for the 3rd consecutive year. A place to play, see, eat, drink and stay; this vibrant, historic waterfront location is a natural home for Fine Tuned, as it blends new with old and classic with contemporary. Visitors enjoyed a unique blend of shopping experiences, classic cars, supercool DJs playing the finest vinyl, pop up ‘Best in Show’ catwalks, beauty make-overs and brilliantly unique street theatre.